New Music New College would not exist without New College of Florida, and indeed the two are intertwined. For beyond presenting world class contemporary music to the Sarasota community, NMNC is dedicated to enlarging the academic experience for New College students. At around 850 students, and with a ten-to-one student-to-faculty ratio, New College provides a challenging and intense learning environment with opportunities for individualized journeys through the world of the liberal arts. There are no grades at New College—narrative evaluations provide meaningful feedback to our students. And each student works with his or her advisor to choose a course of study. New Music New College offers opportunities for New College students to work with some of the leading practitioners of contemporary music, as well as composing and performing. Our experimental concerts are integrated into the academic curriculum. And we see our concerts as a site for the greater Sarasota community to intermingle with New College students, faculty, and staff. 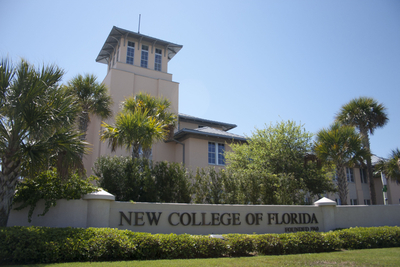 Click here to learn more about New College of Florida!